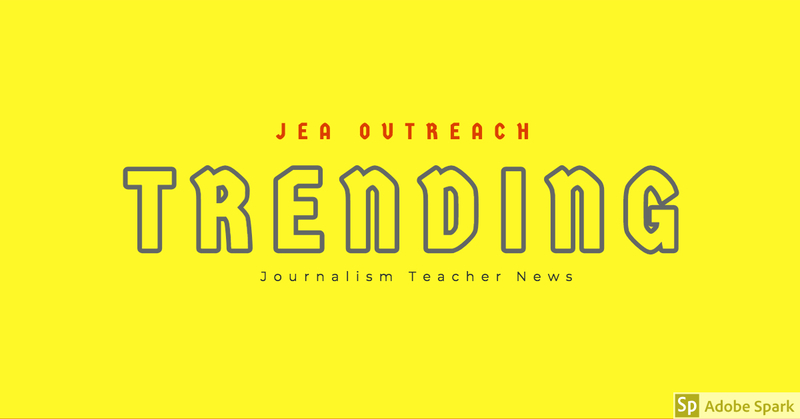 For 2019, as JEA Professional Outreach Chair, I am aiming to publish a monthly blog on what is trending and hopefully useful to journalism teachers. 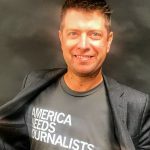 It is great that I get to chat with journalism organizations and I wanted to share a bit of what is being discussed or trending. 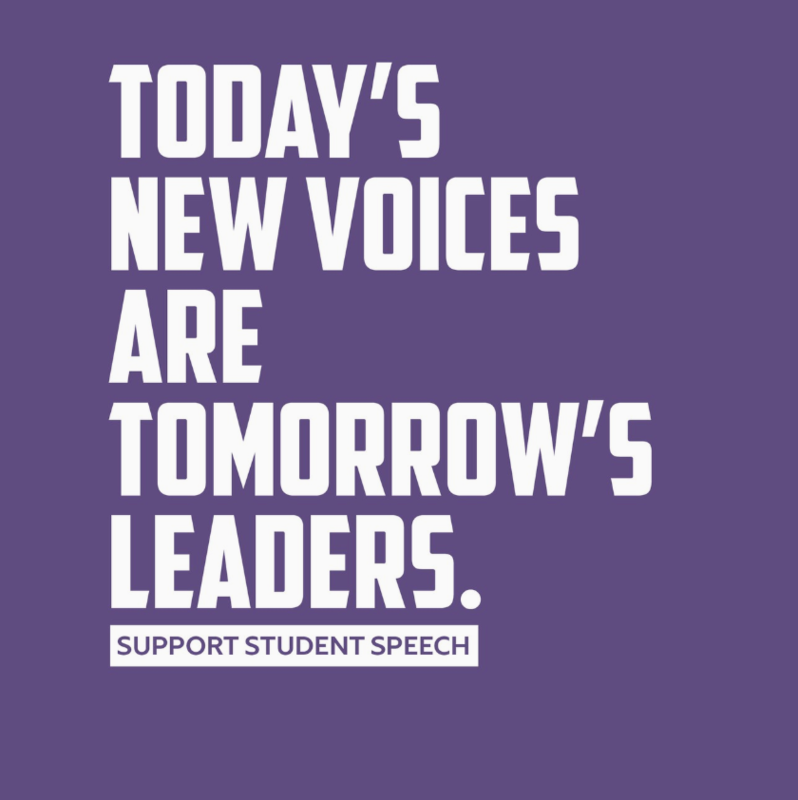 These posts will include updates from our partner organizations like NCTE, Quill and Scroll, Adobe, Flipboard, and School Newspaper Online. This is not everything going on in journalism, but my picks for the month. Tweet me or email me or message below any great trends for February. The blog will also feature stories in media literacy. Evaluating the news and negotiating the new digital media world has never been more important. Stories will come from the Nieman Lab, Newseum, NAMLE and other media literacy leaders. THE NEW YORKER: Does Journalism Have a Future? In an era of social media and fake news, journalists who have survived the print plunge have new foes to face. SNOPES: A fake news story claiming Pelosi agreed to a border wall in exchange for a gun ban got nearly 20x more Facebook engagements than this Snopes debunk. 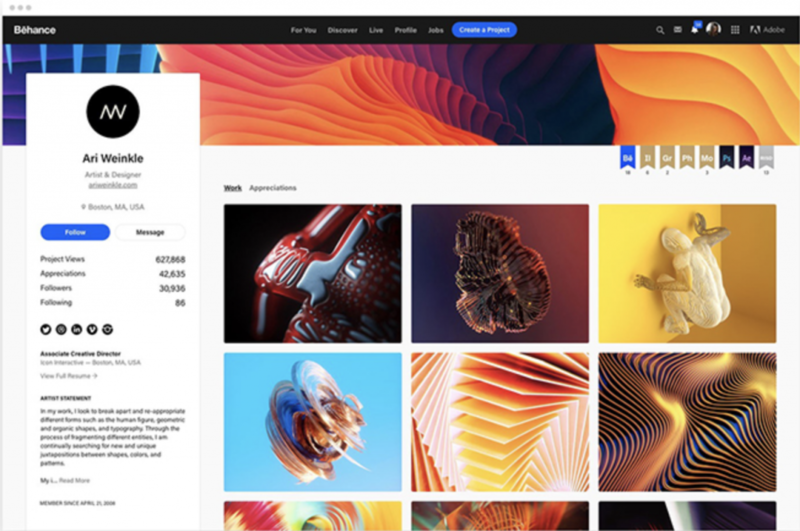 Behance is an online portfolio site that works with Adobe. 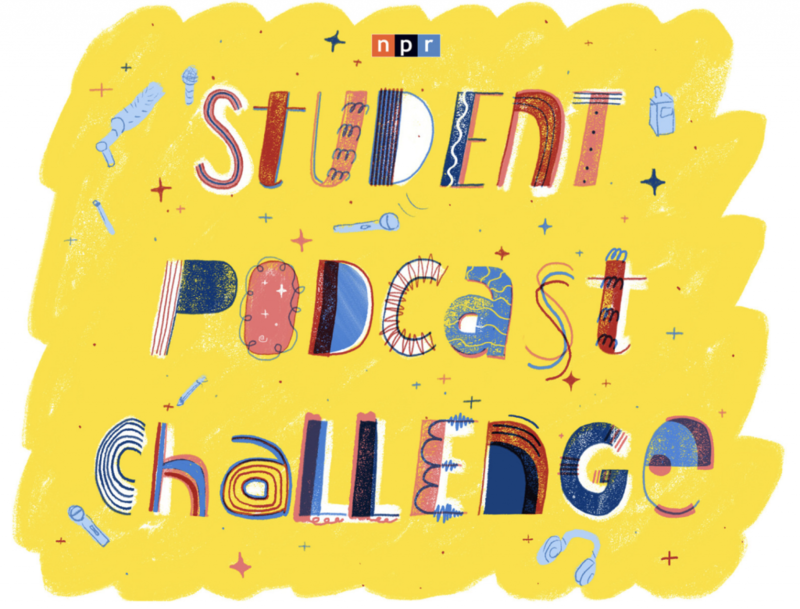 Students can showcase their work on the designer community and find inspiration. Adobe Education Creativity Workshops –Adobe Education Creativity Workshops are weekly live streamed webinars led by Adobe Education Community experts. Buy JEA T-Shirts for $13.99 for Scholastic Journalism Week Feb. 17th to the 23rd. Scroll down to the bottom to find the t-shirts. 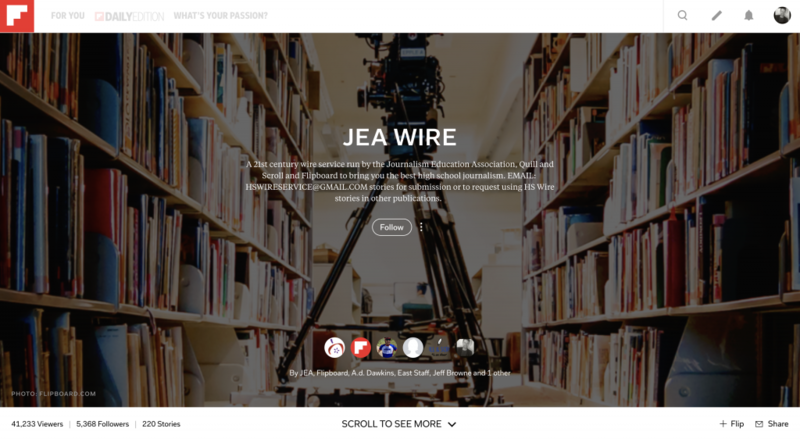 A 21st century wire service run by the Journalism Education Association, Quill and Scroll and Flipboard to bring you the best high school journalism. EMAIL: HSWIRESERVICE@GMAIL.COM stories for submission or to request using HS Wire stories in other publications. You will create a piece of writing in which you consider how a single text has spoken to you and revealed that, while your voice is uniquely powerful and valuable, you are not a soloist but are instead part of a larger human chorus. Explore how the single text shows you that your individual voice creates harmony with the voices of others around you. 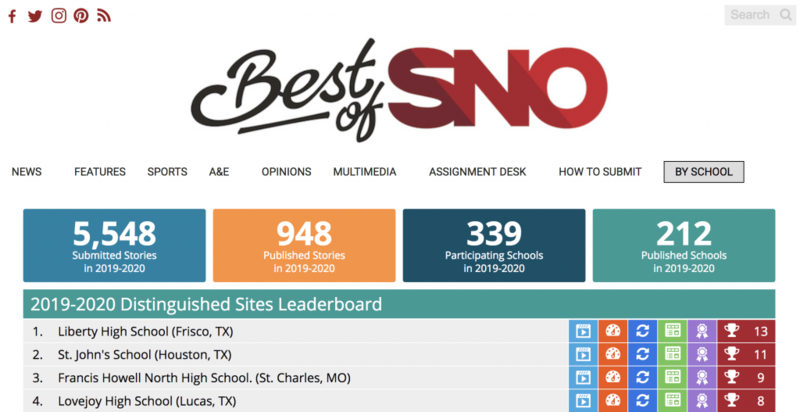 MINNEAPOLIS — Honoring the nation’s best, the National Scholastic Press Association has named 44 scholastic news sites as finalists in its prestigious Pacemaker competition. While the judges have named the Pacemaker finalists, the Pacemaker winners have not been selected.